Designed for video production and broadcast (ENG/EFP) audio acquisition. 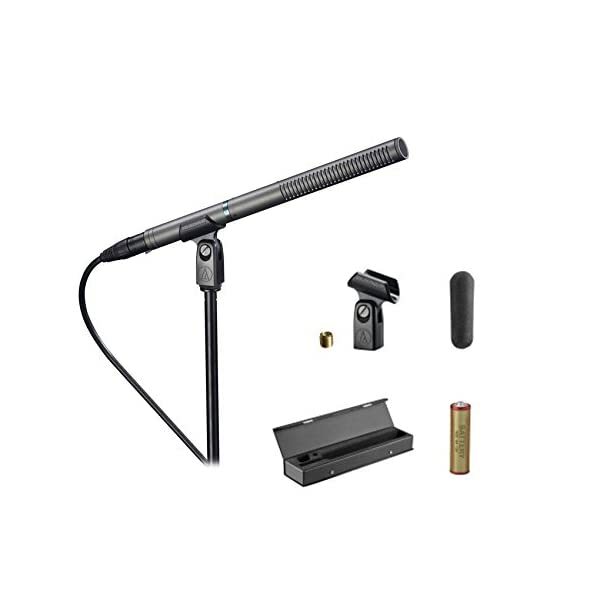 Short length (11″) ensures mic stays out of the shot – ven when used with compact digital cameras. Smooth, natural-sounding on-axis audio quality. Provides the narrow acceptance angle desirable for long-distance sound pickup. Excellent sound rejection from the sides and rear of mic. Switchable low-frequency roll-off. Operates on battery or phantom power. Rockville DMS40 40″ Studio Desk Clamp Microphone Stand w/Boom Arm. Articulating microphone boom arm. 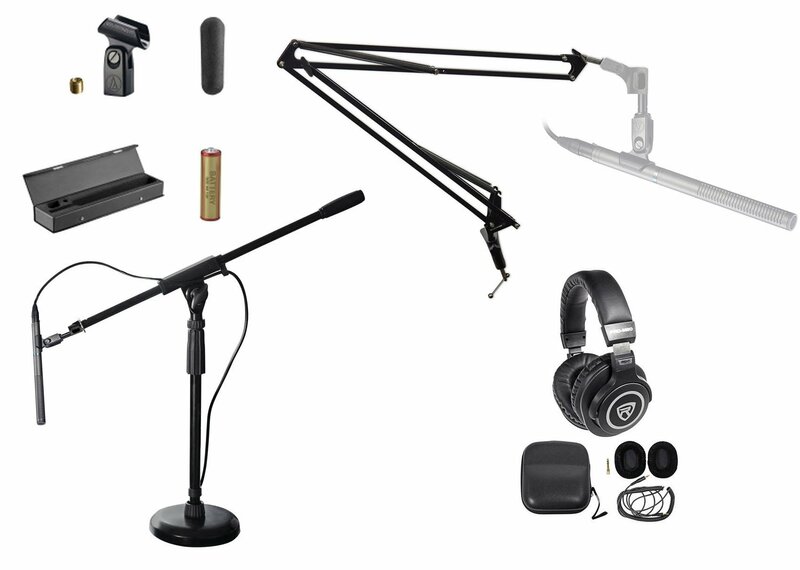 Suitable for studios, broadcasting, podcasting, and more. Arms: 20″+20″ arm length for adjustment. C-shape desk clamp is made of aluminum alloy. Fits any desk less than 2 inch thick. ABS plastic mic clip. You can set the base stand in the desk firmly and adjust to your favorite position. High quality steel frame is sturdy and durable. 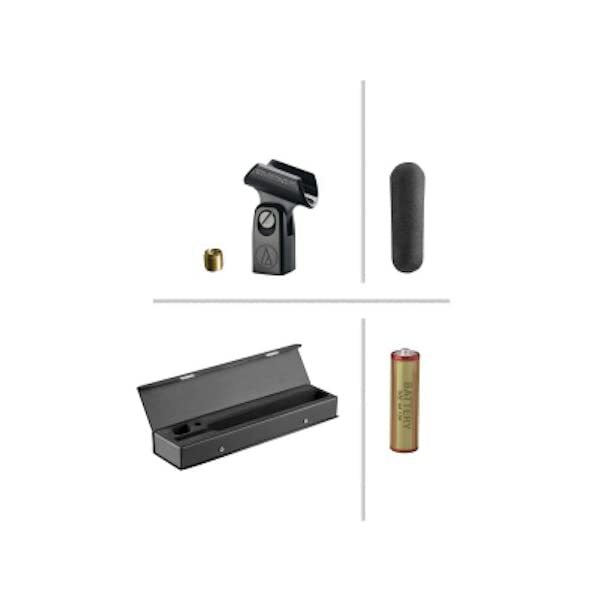 Internal springs for silent and effortless positioning. AT897 Features: ELEMENT: Fixed-charge back plate, permanently polarized condenser. POLAR PATTERN: Line + Gradient. FREQUENCY RESPONSE: 20-20,000 Hz. LOW FREQUENCY ROLL-OFF: 80 Hz, 12 dB/octave. OPEN CIRCUIT SENSITIVITY: Phantom: -40 dB (10.0 mV) re 1V at 1 Pa // Battery: -41 dB (8.9 mV) re 1V at 1 Pa. IMPEDANCE: Phantom: 200 ohms // Battery: 300 ohms. MAXIMUM INPUT SOUND LEVEL: Phantom: 129 dB SPL, 1 kHz at 1% T.H.D. // Battery: 115 dB SPL, 1 kHz at 1% T.H.D.. DYNAMIC RANGE (typical): Phantom: 112 dB, 1 kHz at Max SPL // Battery: 98 dB, 1 kHz at Max SPL. SIGNAL-TO-NOISE RATIO: 77 dB, 1 kHz at 1 Pa. PHANTOM POWER REQUIREMENTS: 11-52V DC, 2 mA typical. SWITCHES: Flat, roll-off (recessed). WEIGHT: 5.1 oz (145 g). DIMENSIONS: 10.98″ (279.0 mm) long // 0.83″ (21.0 mm) diameter. OUTPUT CONNECTOR: Integral 3-pin XLRM-type. 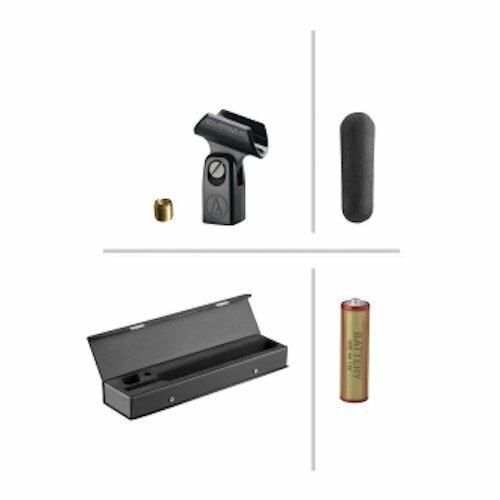 ACCESSORIES FURNISHED: AT8405a stand clamp for 5/8″-27 threaded stands; AT8134 windscreen; battery; 5/8″-27 to a few/8″-16 threaded adapter; protective carrying case. AUDIO-TECHNICA CASE STYLE: SG2. Low profile height adjustable microphone stand for kick drums and guitar amps. Heavy-duty steel round base with rubber pad provide extreme stability. Fixed boom arm provides precise positioning. Scratch-resistant powder coated finish. DMS40 Specifications: Booming length : 21.4″ (54.5cm). Height adjustment : 18.7″- 28.7″ (47.5cm – 73cm). Base Diameter : 10.2″ (26cm). Thread Size : 5/8″. Weight : 6.6 lbs (3 kgs). PRO-M50 Specifications: Style: Closed-Back. Design: Circumaural. Transducer Type: Dynamic. Driver: 40MM. Sensitivity: 97±3dB. Impedance: 32ohm. Frequency Response:10Hz – 25KHz. Max. Power: 600MW. Rating Power: 260MW. Net Weight:290g (with cable). Designed for video production and broadcast (ENG/EFP) audio acquisition. 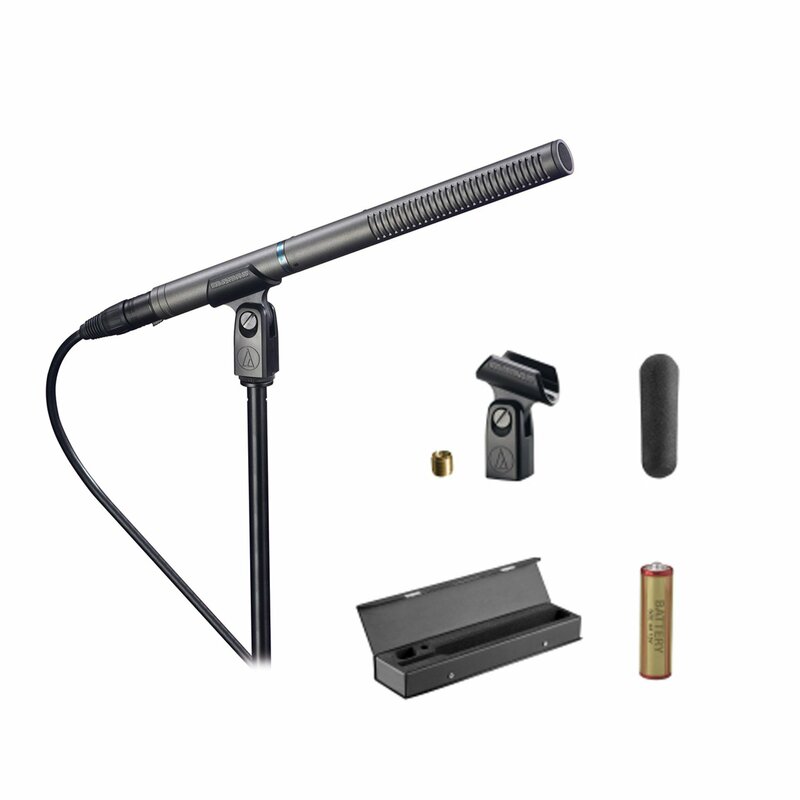 Short length (11″) ensures mic stays out of the shot – ven when used with compact digital cameras. Smooth, natural-sounding on-axis audio quality. 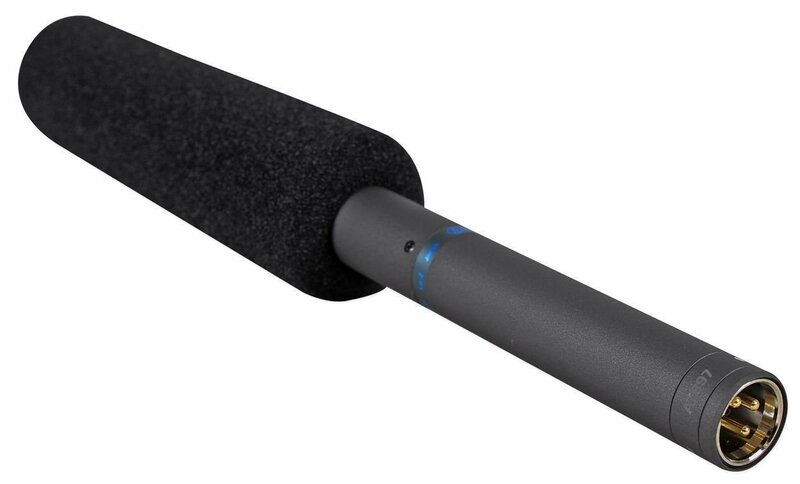 Provides the narrow acceptance angle desirable for long-distance sound pickup. Superb sound rejection from the perimeters and rear of mic. Switchable low-frequency roll-off. Operates on battery or phantom power. Rockville DMS40 40″ Studio Desk Clamp Microphone Stand w/Boom Arm. 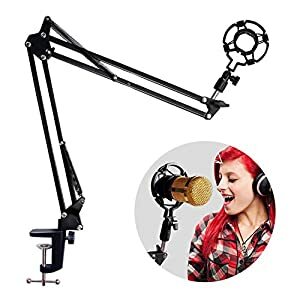 Articulating microphone boom arm. 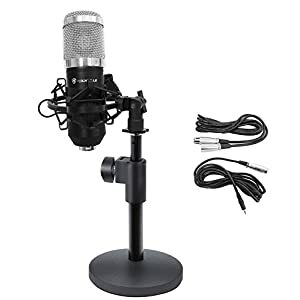 Suitable for studios, broadcasting, podcasting, and more. Arms: 20″+20″ arm length for adjustment. C-shape desk clamp is made of aluminum alloy. Fits any desk not up to 2 inch thick. ABS plastic mic clip. You’ll set the bottom stand within the desk firmly and adjust for your favorite position. Prime quality steel frame is sturdy and durable. Internal springs for silent and effortless positioning. 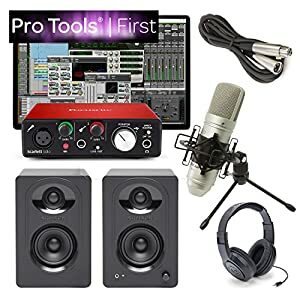 Rockville PRO-M50 Includes: Pro-m50 headphones. Detachable cable. Soft suede and leather ear cushions (interchangeable). Leather hard go back and forth protective case. Gold plated ¼” adapter. Rockville PRO-M50 Studio Headphones w/ Detachable Coil Cable, Case+Extra Ear Pad . Professional High-Definition Studio Headphones. 40mm Neodymium drivers. Ergonomically designed swivel ear cups. Supreme sound isolation. Accurate sound reproduction. Minimal bleed. Sturdy and durable steel headband and arms. Soft leather headband cover. Interchangeable leather and soft suede ear cups covers included. Detachable 51″ coil cable made of 100% Oxygen Free Copper (158″ fully extended). Gold plated 3.5mm connector. Gold plated ¼” adapter. Hard leather carrying case. Stainless steel headband frame and moving arms are durable and long-lasting.